Stuart G. Harper is of Mohave Indian decent and a member of the Colorado River Indian Tribes. Stuart married his high school sweetheart Alaine. They have been together going on 41 years. He served in the U.S. Army and is a Vietnam Veteran. He has been coaching youth sports for the past 25 years, everything from basketball, football and many more. Stuart spends a majority of his down time fishing. Stuart has worked in the field of Law Enforcement retiring in 1992 as the Chief of Police for the Colorado River Indian Tribes Police Department. In 1994 Stuart went to work for the Colorado River Indian Tribes Court as the Chief Probation Supervisor, he worked for 14 years primarily focusing on youth issues and programs. Presently, Stuart is employed as the Colorado River Indian Tribes Police Captain overseeing the patrol division. Stuart has been in the Criminal Justice system for the past 33 years, he has a wealth of experience in the field of law enforcement and court youth issues. Stuart has been involved in many projects, boards and committees; he has been on the Board for Unified Solutions for many years. Before relocating to Tucson, AZ, Marcia Zaccaria enjoyed a 36-year career in education. Marcia taught English and reading, supervised teachers, wrote curricula, served as the vice principal of both a junior and senior high school, and served as a district-wide administrator and testing coordinator in several school districts serving diverse populations. Marcia has a Master’s Degree in Education and a variety of education-related certifications. She served as an Adjunct Faculty member at the University of Pennsylvania and established a teacher training institute in Southern New Jersey. 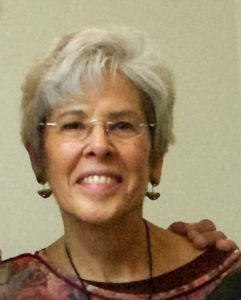 After relocating to Tucson, Marcia began applying her skills as a teacher and administrator in the community. Marcia joined the board of Unified Solutions Tribal Community Development Group in 2004. She is a leader in several organizations in Tucson that promote intercultural understanding and tolerance. She teaches classes and facilitates workshops empowering people to better understand each other and bring seemingly opposed groups together. Last year Marcia and her husband Michael were selected by the Foundation for Inter-Cultural Dialogue to travel to Turkey to promote understanding between Turks and Americans. Marcia and Michael also recently traveled and volunteered in India. To stay abreast of current issues and challenges impacting tribes as well as identifying potential solutions to current challenges, she and Michael spent the summer of 2011 visiting Indian reservations and participating in the U.S. Attorney’s Conference in Rapid City, SD. Marcia is an award winning clay artist. She and Michael have four children, Alyssa in Delaware, Daniel in Pennsylvania, Shari in Colorado and Marc in NJ with his sons Jake and Benjamin. Steve came to the came to the Denver District Attorney’s Office in 1983, after seven and one-half years in the First Judicial District Attorney’s Office in Colorado. Steve serves as the Director, Special Programs Unit. This includes administration of the Denver Victim Assistance Law and Enforcement Board. The creation and/or supervision of cutting edge Criminal Justice Programs is an integral part of Steve’s work. These programs include the Denver Anti Trafficking Alliance(DATA), Cold Case DNA Project, Justice Review Project (Post Conviction DNA Innocence Review), Witness Protection Program (recently named a model of innovation by the National Association of Prosecuting Attorneys), Victim Services Network (VSN), Juvenile Diversion Program, Domestic Violence Fast Track Program, Community Advocacy Program and the Rose Andom Family Justice Center, Elder Abuse Forensic Collaborative, Communities Against Senior Exploitation (CASE), the Drug Endangered Children Collaborative, and Courtrooms to Classrooms. The Denver Victim Services 2000 Project (or VSN) is designated by the U.S. Department of Justice as the single urban site in the United States for a demonstration model of a victim services network. Steve is the past Chair and current member of the Governor’s Advisory Council on Victims of Crime. He was appointed by the Governor as a founding member of the Colorado Criminal Justice Commission. Over the course of his thirty-eight year career he has been a catalyst for the development of interagency protocols that have been replicated nationwide on Domestic Violence, Sexual Assault, Child Abuse, and Victimization of the Elderly and Disabled. Steve served as one of the crisis team leaders in the response to the Columbine High School tragedy. His responsibilities included oversight of the crisis response, liaison between the jurisdiction and the United States Department of Justice, and consultant to the School Board and Administration. He continued his support of the services to the Columbine community by serving on the Executive Committee of the Mile High United Way/McCormick Tribune, “Healing Fund Foundation.” This resulted in his consultation work with various affected communities in the aftermath of mass tragedies such as; the Colorado Platte Canyon High School tragedy and the shootings at Virginia Tech University. 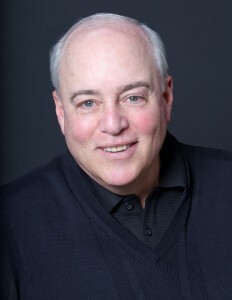 Steve served as an advisor to the United Way of Connecticut and as faculty at the Symposium for Recovery for the Sandy Hook/Newtown communities. Steve was honored to be a member of the Executive Committee that created the Aurora Strong Resiliency Center in response to the Aurora Colorado Theater Shootings in 2012. Most recently, he has been a senior advisor to the US Department of Justice and Massachusetts Office for Victim Assistance in response to the Boston Marathon Bombing. Steve is a 2006 recipient of the National Crime Victim Service Award and is an active member of the Unified Solutions Board of Directors. He has presented for Unified Solutions and the Office for Victims of Crime at multiple Indian Nations Conferences and Regional trainings for Unified Solutions. Kate R. Finn is the Staff Attorney for the First Peoples Investment Engagement Program (FPIEP). Ms. Finn most recently served as the inaugural American Indian Law Program Fellow at the University of Colorado Law School where she worked directly with tribes and Native communities. Ms. Finn holds a J.D. and a Masters in Public Administration from the University of Colorado, and a B.A. from Princeton University. Ms. Finn’s areas of focus and research expertise include indigenous peoples law and policy, federal Indian law, preventing violence against women, victim services, and business and human rights. 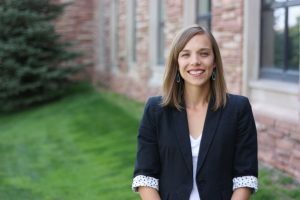 She has co-authored several articles on the intersection of resource development and violence against women in Native communities. She works with the FPIEP to deploy shareholder advocacy tools to create beneficial investment opportunities for indigenous communities and investors. She recently co-authored a case study, Social Cost and Material Loss: The Dakota Access Pipeline, which details the material losses experienced by entities that failed to account for human rights and indigenous rights prior and during construction of the Dakota Access Pipeline. Prior to attending law school, Ms. Finn served as a Program Coordinator with the Denver Victim Services Network, ensuring that victims of crime in the Denver metro area had access to a comprehensive network of services. She worked on the local level to connect service agencies, and also advocated at the federal level for adequate protections of victims of crime. Ms. Finn is a proud, enrolled member of the Osage Nation.